HTC has been aggressively launching smartphones all around the globe that include devices under its One and Desire series. Following the strategy, the company has launched Desire 500 in Taiwan. The device is said to be targeted at the younger consumers and is considered a mid-ranged smartphone. The HTC Desire 500 is powered by 1.2GHz Qualcomm Snapdragon200 quad-core processor coupled with 1GB of RAM. It features a 4.3-inch WVGA display with a resolution of 480×800 pixels. The phone measures 131.8×66.9×9.9mm and weighs 123g. There is 4GB internal storage that can be further expanded up to 64GB with the help of microSD card. An 8-megapixel rear camera can be found at the back accompanied by an LED flash and a 1.6-megapixel front camera. The device can record videos at 720p and also features Beats Audio. HTC Desire 500 comes with a 1,800mAh battery that the company claims will deliver 17.8 hours of talk time and 401 hours of standby time. The HTC Desire 500 runs on Android 4.2 with Sense 5 on top and other features like BlinkFeed. 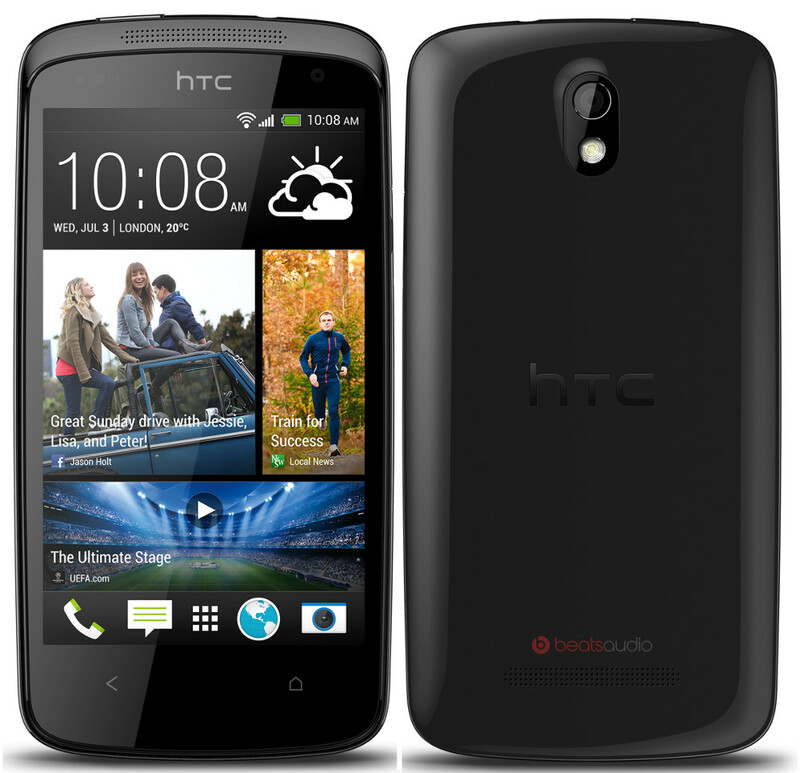 However, the HTC Desire 500 does not include BoomSound which has been a part of HTC One series and features dual front speakers at the front panel. HTC Desire 500 is priced at $11,900. There is no word yet about pricing and availability in markets other than Taiwan.